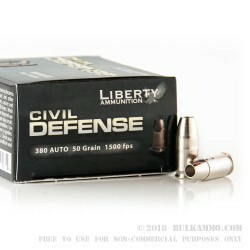 Liberty Ammunition’s Civil Defense .380 Auto features a 50-grain leadless copper hollow point loaded into boxer-primed, noncorrosive reloadable nickel plated brass cases. 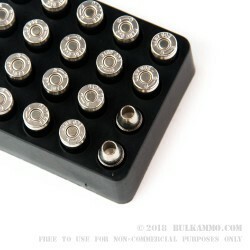 These rounds are capable of a muzzle velocity of 1500 FPS, with less felt recoil than a standard .380 and are accurate at ranges longer than a traditional self-defense situation. 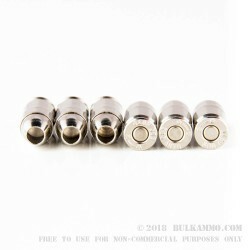 These rounds are designed to give up to 12 inches of penetration, creating devastating performance with extreme fragmentation and high energy transfer. Liberty ammunition was founded not long after the attacks of September 11. With their mission of producing highly reliable, high performing self-defense ammunition, Liberty provides ammunition to the US military and police, as well as the civilian market. Priding itself on producing some of the best self-defense ammunition in the world, Liberty continues to be a leader in American munitions manufacturing.. Each box of Liberty self-defense ammo comes with 20 rounds.